Unroll a little or a lot . 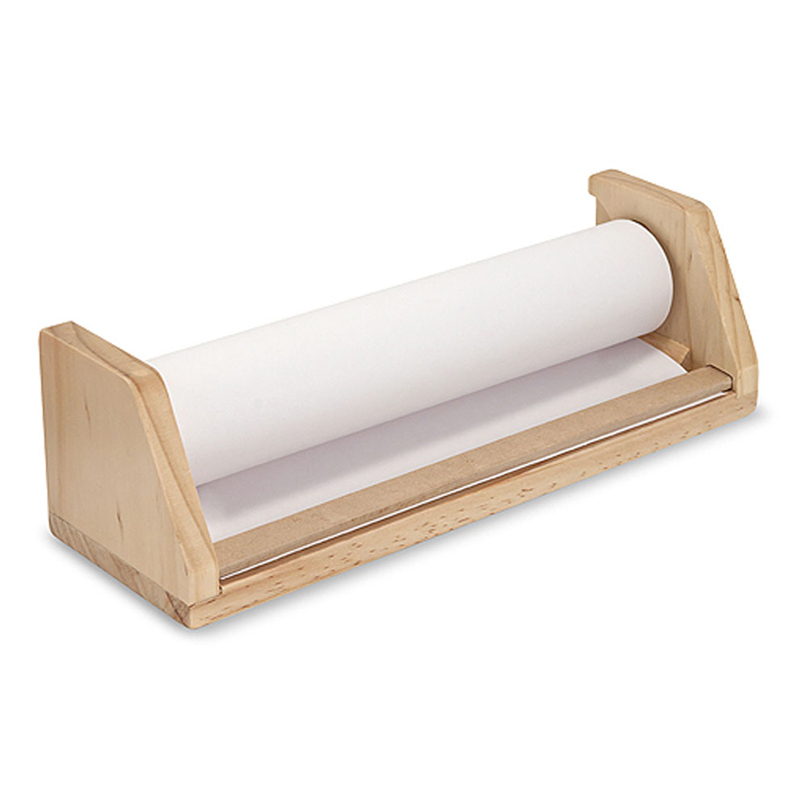 . . with this compact tabletop dispenser, it is easy to get just the right amount of drawing paper! A child-safe tear strip makes it simple to achieve clean edges, too. The sturdy wooden dispenser comes preloaded with a 75-foot roll of premium white bond paper, perfect for crayons, pencils, markers and paints. Paper refills available. Dimensions: 4" x 13.5" x 4.375"